Oryx hunts on Stallion Range, Rhodes Canyon and Fort Bliss are some of the best free range hunts New Mexico has to offer. This is a very unique hunting opportunity that every hunter should experience and a hunt I look forward to guiding every year. If you have already drawn a tag or are looking to apply using our outfitter number we are the leading outfitter consistently harvesting trophy Oryx on and off range. We know every range very well and know all the steps that are required to make your once in lifetime hunt a success. Your hunting experience will start the evening prior to opening day, we will go over all the hunt criteria over dinner. Opening morning we will meet you early at your hotel room and head to WSMR gates for the mandatory Game and Fish briefing. After the briefing we are free to proceed on your once in a lifetime adventure. Fully Outfitted Service (Rifle/Muzzleloader/Archery) Includes three consecutive days with a knowledgeable guide, transportation while in the field, snacks/lunch and pack out of game within this time frame. 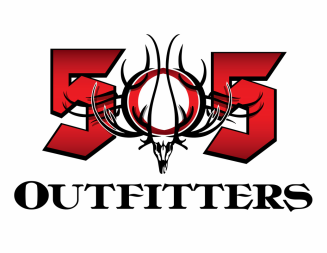 ​Off range Oryx hunts are June-March and are a month long. These hunts have great odds in the outfitter pool and high success rates when you hunt with us. Minimal Guide Service (Rifle/Muzzleloader/Archery) Includes two consecutive days with a knowledgeable guide and pack out of game if harvested within this time frame. This meets the minimum requirements of NM Department of Game & Fish. This service does not include meals and lodging. Guide Only Service (Rifle/Muzzleloader/Archery) Includes five consecutive days with a knowledgeable guide, transportation while in the field, and pack out of game within this time frame. This service does not include meals and lodging.